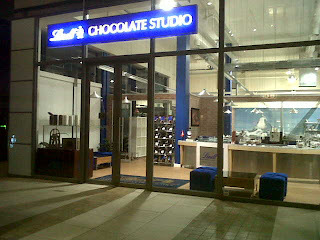 OMG - words cannot express my excitement that there is a Lindt Chocolate Studio at Design Quarter in Johannesburg. And the cherry on the top is that we have just moved our work offices into Design Quarter! I am sure I will be very broke henceforth. That is a serious wok hazard! Po: I know! What's a gal to do? !